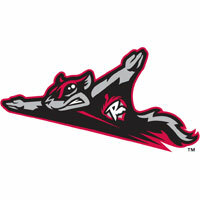 The Richmond Flying Squirrels (28-24) were held in check in the finale of a three-game series and defeated, 2-1, by the New Britain Rock Cats (25-29) on Thursday afternoon at New Britain Stadium. The loss allowed the Rock Cats to avoid a three-game sweep and snapped Richmond’s five-game win-streak. It also prevented Dave Machemer from claiming his 1,600th win as a manager. Each team broke through for a run in the second inning. The Squirrels got a sacrifice fly from Ehire Adrianza after back-to-back singles for Mark Minicozzi and Ricky Oropesa started the inning against lefty Pat Dean. Minicozzi extended his hit-streak to 15 games with his single. New Britain struck back against left-hander Jack Snodgrass in the bottom of the frame. Snodgrass issued a one-out walk to Chris Pettit. He advanced to second on a passed ball and scored on an RBI single from Danny Ortiz to tie the ballgame, 1-1. New Britain forged ahead with a run in the fourth inning. Curt Smith led off and doubled down the third-base line. Snodgrass got the first two outs, but Ortiz cracked his second RBI single of the ballgame into right field to put the Rock Cats ahead, 2-1. Dean (3-5) held the Squirrels offense in check through the remainder of his seven innings. He allowed just the lone run on five hits, walked none and struck out three. He earned his first win against Richmond in his third start against the Squirrels. Snodgrass (4-1) outlasted Dean, but endured a hard-luck loss over 7 2/3 innings. In his longest outing of the season, he allowed two earned runs on six hits. It was the first loss as a Squirrel for Snodgrass. Left-hander Blake Martin handled an easy eighth inning and turned it over to righty A.J. Achter in the ninth. He allowed a pair of singles, but ultimately got the job done, earning his second save and preserving the victory for the Rock Cats. The Squirrels return to Richmond to open a three-game weekend series with the Erie SeaWolves (Detroit Tigers) at The Diamond on Friday night. First pitch of the opener is set for 7:05 p.m. as Richmond LHP Carlos Teller (0-0, 3.46) will make the start against SeaWolves LHP Matt Crouse (4-3, 4.63). Pregame coverage begins on Sports Radio 910,SportsRadio910.com and IHeart Radio at 6:35 p.m.